For some time now, the people of Alicante have been taking the practice of tapas bar hopping to a whole new level, so Turismo Alicante decided to shoot a video to showcase this fashionable phenomenon: el tardeo Alicante. 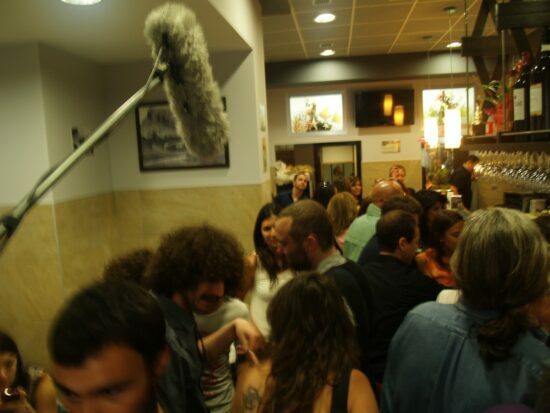 El tardeo, a term used to describe nightlife enjoyed in the afternoon and evening. Alicante, a Mediterranean city in which people live very, very well. Filming begins at 11am on Saturday 18th May, in the central market’s Plaza 25 de Mayo, also known as “the Square of the Flowers”. Already present are members of nationally-acclaimed Alicante band Gimnástica – Juanma on vocals, Manu and Lucas on guitar and Dani on bass – all of who jumped at the idea of joining us on our mission to reveal the pleasures of el tardeo. 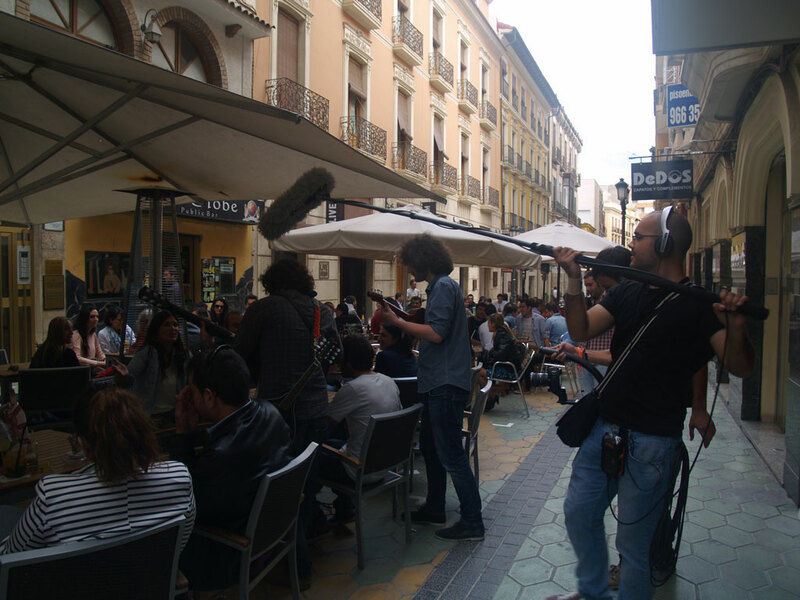 It’s Manu’s birthday today but even he doesn’t remember – so thrilled are they to be filming a music video to show off life in Alicante on a Saturday afternoon. This is a world which twenty-somethings Gimnástica know well, having lived and breathed it – loved it – themselves. They’ve got a mandolin and a ukulele for the shoot, and Juanma sings happily away, take after take. They also sound great a cappella. The technical team are responsible for filming the group’s movements and recording their music, ensuring the quality of the shots and sound. And they also have to capture their conversations with Raquel from Alicante Turismo, who’s acting as a guide to show them some of the key points of el tardeo. There’s a great vibe and it shows: laughter, smiles and complicity all round. Gimnástica are warming up. 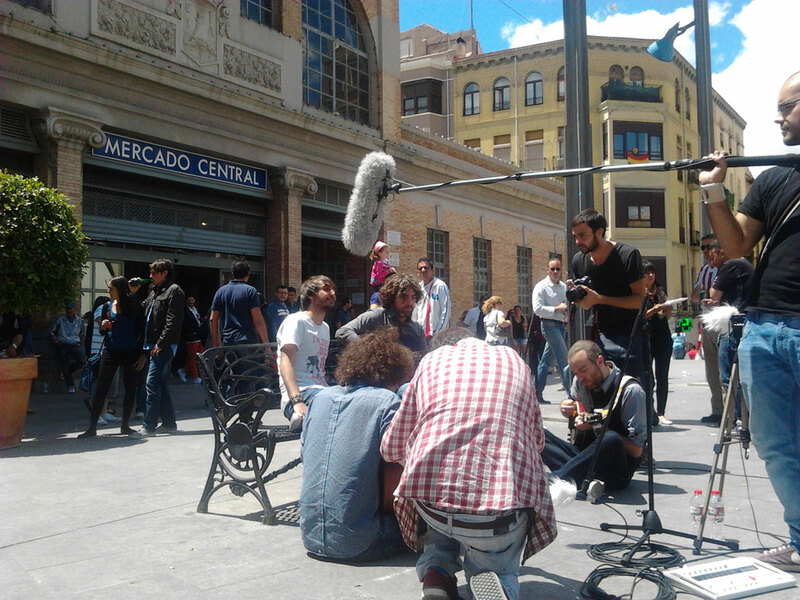 Sitting in the middle of the square, they kick off with their track La Gran Evasión, attracting a crowd of curious passers-by. What is going on? The square is being slowly transformed. Earlier in the morning, it was full of shopping trolleys and families come to shop in the market. But, as lunchtime approaches, the square begins to fill with young people, who sit in groups at the tables outside. Today there’s a stag do, and the young groom-to-be displays his sense of humour by dressing up as a female flamenco dancer, unruly wig and all. The band go over to congratulate him, singing a cappella amid the general merriment. A great atmosphere is all part and parcel of el tardeo. By half one in the afternoon, there’s no doubt that it’s no longer shoppers in the square: these people are here to enjoy an aperitif. The film crew moves on a few metres. 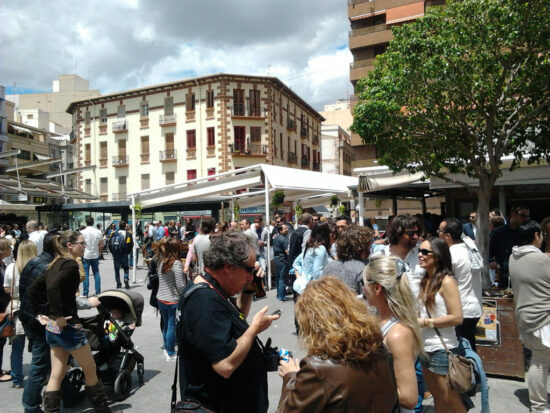 By two o’clock, Gimnástica and Raquel are struggling to squeeze into the bars around the market: lots of groups of friends are snacking on tapas amid lively conversation. On the countertops and tables, fresh market produce offers a feast for both eyes and palate. Glasses of beer and local wine clink merrily for the first toast. 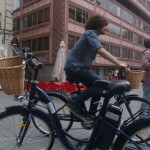 From the market to the Plaza de San Cristóbal comfortably, quickly and ecologically, as Gimnástica are given the honour of being the first to ride the electric bikes being unveiled by local firm Abat. Dubbed Santa Bárbara after the city’s castle, these power-assisted bicycles proudly carry the “Alicante, City of Health” logo and are to be rolled out in the rest of Spain under that same name of Santa Bárbara. The experience is “really cool”, and everybody welcomes a bit of extra help on the uphill stretches. 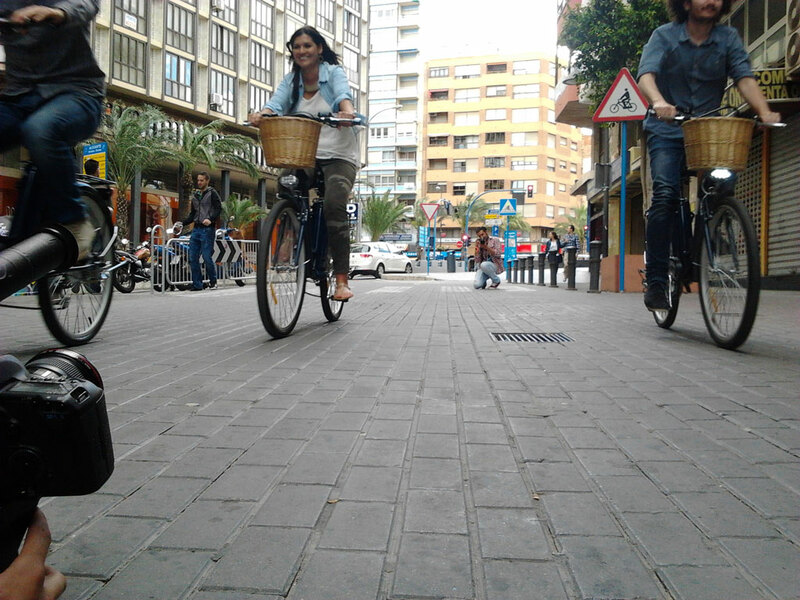 We leave the cycle path at Plaza de San Cristóbal, where we join local bar owner David, who invites the group to pericana tapas and glasses of wine in a bar with a classic Alicante ambience: local photographs, local music and even local beer. It’s three o’clock, and the band are talking about their career, about how their style has changed, how their name has gone from Inquiro to Gimnástica and how exciting it is to perform in new places. And they are happy, because they feel loved in Alicante. 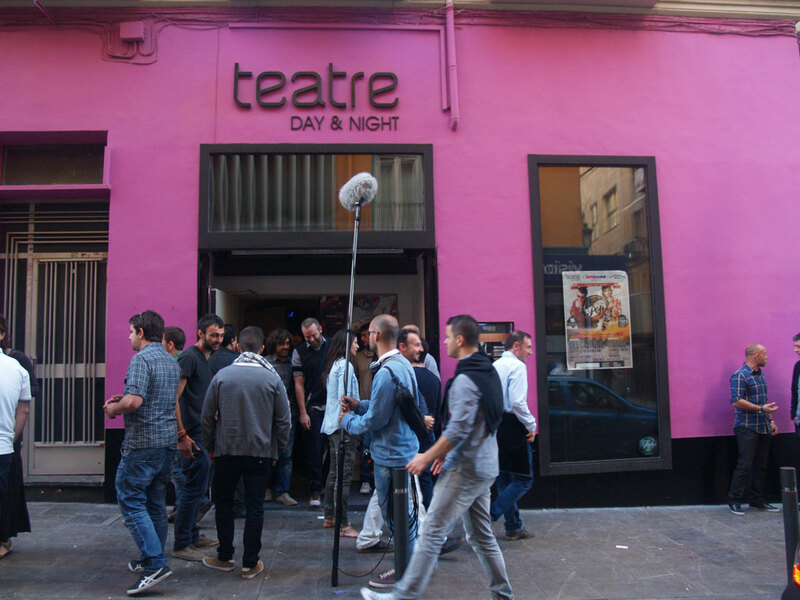 They talk of how they like el tardeo, they like going out and having fun, and they believe that this initiative has “really livened up the bars”. The cameras follow their movements, and passers-by and those out having lunch or tapas want to know who the band are and why they are being filmed. 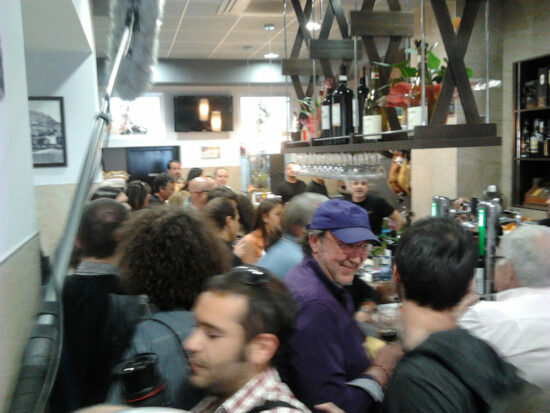 When informed that we are shooting a promotional video for Alicante, they smile and praise the initiative: so many are so proud of their city. By 4:15, we are in a bustling bar near the Rambla, where lots of animated young people are eating tapas. 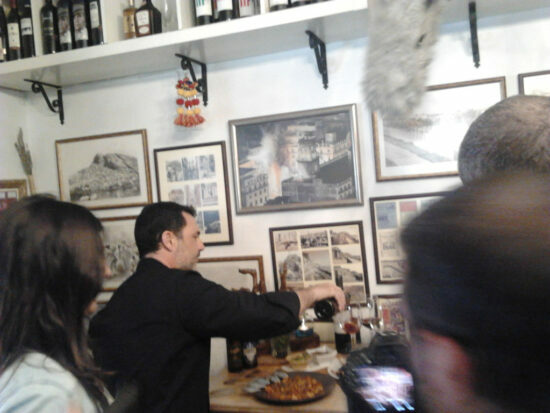 The band try the dish voted Best Tapa by the public in the Tapéate Alicante competition: the tapa de Jijona. The chef has even written “Gimnástica” on the slate tray on which it is served, in honour of the band. 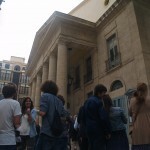 Then we mosey on down to the Teatro Principal theatre, where a long line of people are queuing to get in to see the musical Beauty and the Beast, and where Gimnástica would love to play one day. After lunch, it’s time to kick back a little. 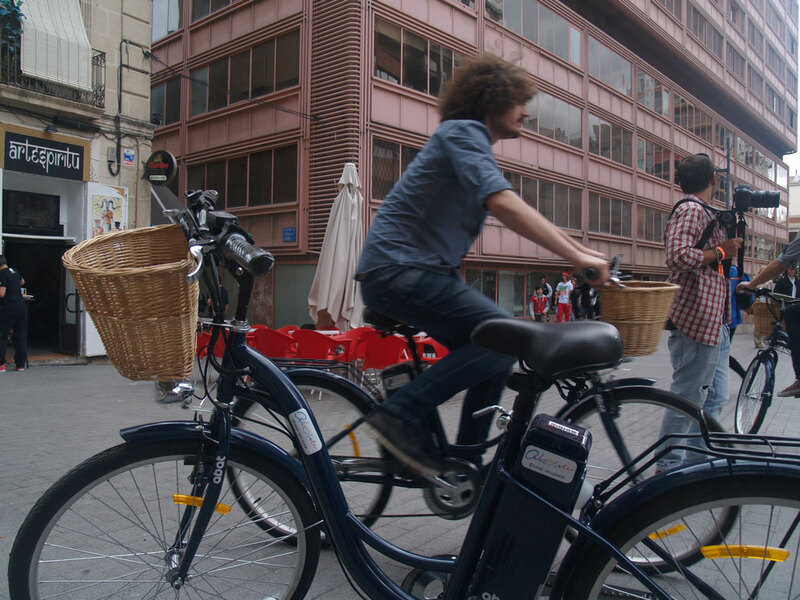 Castaños street and the surrounding areas are full of life. The outside seating areas are packed. The band starts up, playing as they walk, and we reach the terrace on which they will enjoy a few cocktails. Everybody is looking their way. Some girls get their photos taken with the group and promise to go onto Facebook and vote for Gimnástica to play at the Low Cost Festival. Then the guys finally remember that it’s Manu’s birthday, and it’s a little after 5:30 when they sing Happy Birthday. Smiles and good vibes all round, and lively conversation as the young and young-at-heart make the most of the afternoon. The film crew then accompany Gimnástica and Raquel to the steps on Plaza de San Cristóbal for the final shot of the band performing one of their songs. 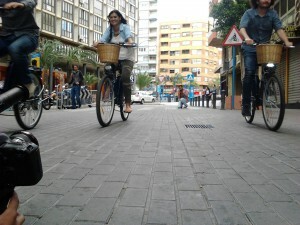 Then they head to the Rambla. 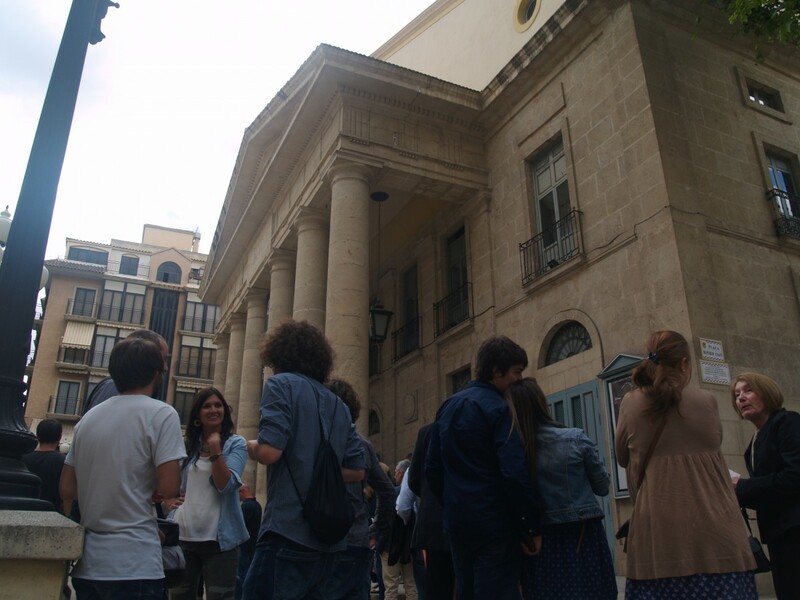 It’s seven in the evening – time for a bit of a boogie – and there are queues for the bars and clubs around Tomás López Torregrosa street. Before ducking into one of the discothèques that offer a late-night vibe in the early evening, Raquel rules that “What happens in el tardeo stays in el tardeo”. The night has slipped forward into the evening, and the aim of our video is to show that Alicante boasts a hale and hearty scene of good clean fun that’s well worth dipping into. 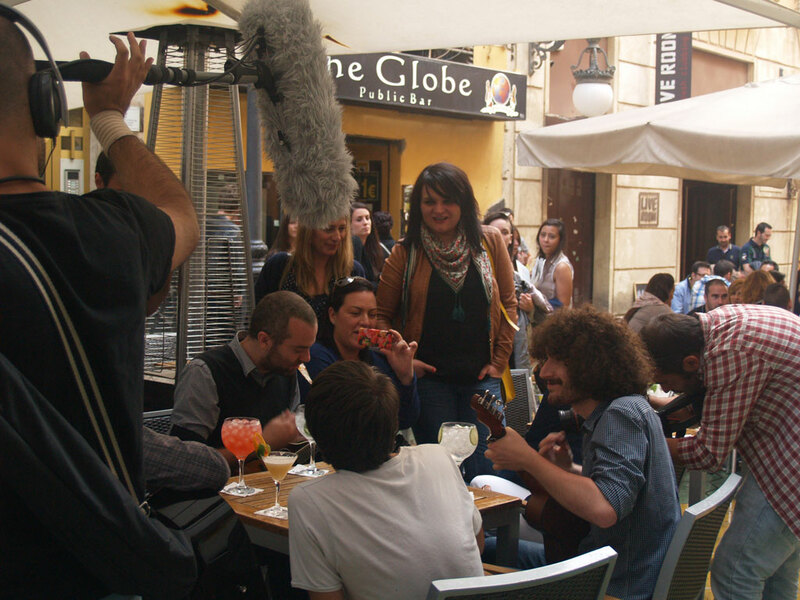 As the cameras stop rolling, Gimnástica get down to enjoying the rest of their tardeo.